the use of alias sets in ACL templates and Workflows, two of the most powerful uses of alias sets. when linking sysobjects, as activity performers in workflows, and as accessors in ACLs. to these example alias sets in the examples that follow. What is an ACL Template? that reference that template will be updated by the system to reflect the changes. from having to create lots of distinct ACLs if you need accessors that are specific to individual objects. and repositories. 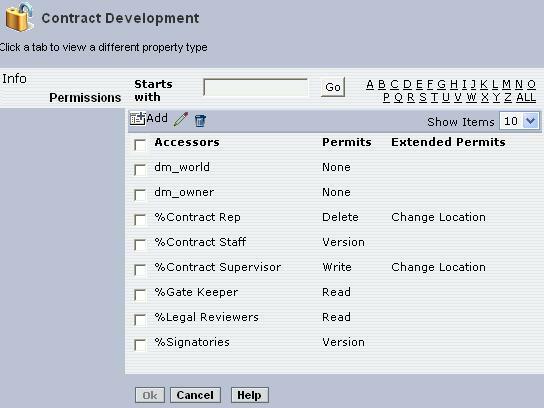 For instance you could have a “department manager” alias for an accessor in an ACL. “department manager” alias can resolve to the correct manager. dm_acl, but with an acl_class of “2” meaning “Template Instance”. Note: See Part 1 of this article for a full review of the dm_alias_set object type and its attributes. aliases that don’t require the ‘%’ prefix. it searches for the aliases values in several places (scopes) in a predefined order. scope if the alias set for the current scope is undefined, otherwise it returns an error. User’s Default Group’s Alias Set – The alias_set_id attribute of the user’s default group. Documentum Administrator or you can use DQL or the API. Message Text: Cannot create an instance %s of template ACL %s based on alias set %s. Cause: Failed to create an instance of the said template ACL. There must exist at least one alias which can’t be resolved based on the said alias set. Action: Change the associated document instead so that a new internal ACL will be created. digits are a unique identifier for the ACL instance. problem is usually outweighed by the benefits of using ACL templates. 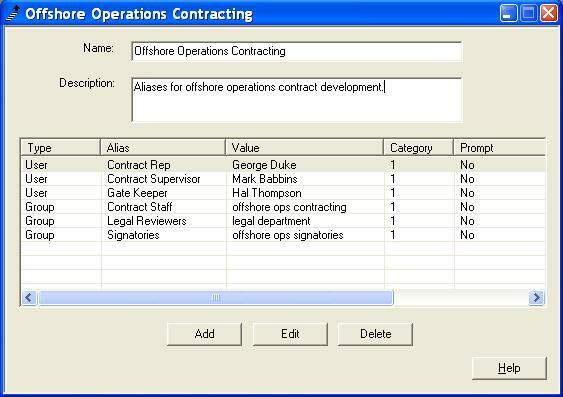 divisions of the company: Offshore Operations, and Ground Operations. by using ACL and Workflow templates that reference alias sets. contracting documents. Contracting Lifecycle has three states: Draft -> Approved -> Executed. acceptable alias sets (alias_set_ids repeating attribute). workflow in different situations or repositories. 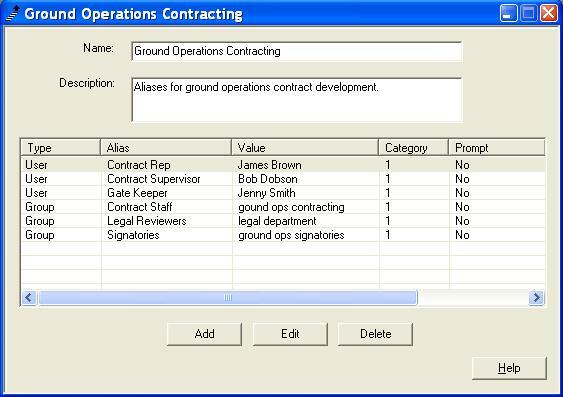 activity to be an alias that will be resolved manually by a user or automatically by the system. implement the facility to do this. activity (see the middle radio button in Figure 4) using Workflow Manager. Specific Alias Set – This can be any alias set that you select from the repository. Alias Set of Document in Package – This is the alias set of the package being routed in the workflow. activity with a dm_noop method specifically to set the performer of the previous activity. as an alias and specification of the alias set from which to resolve the performer. If you choose “Specific alias set” then the server will only search that alias set for alias values. the alias name and value. Searches the default alias set specified for the workflow (if there is one). Searches the alias set defined for the current session. Searches the alias set specified for the Server configuration. set of the named package. item in the first package in the order that the items were added to the package. on until the alias is found or all objects in all packages are searched. Searches the alias set of the user object of the previous activity’s performer. Can I have a mix of real users and aliases as accessors in my ACL template? No, you can’t. All accessor names are converted to alias names when an ACL template is saved. How do I go about deleting unwanted alias sets and objects that reference them? If possible, first delete any ACL or Workflow templates or instances that reference the alias set. orphaned by the deletion of the alias set.